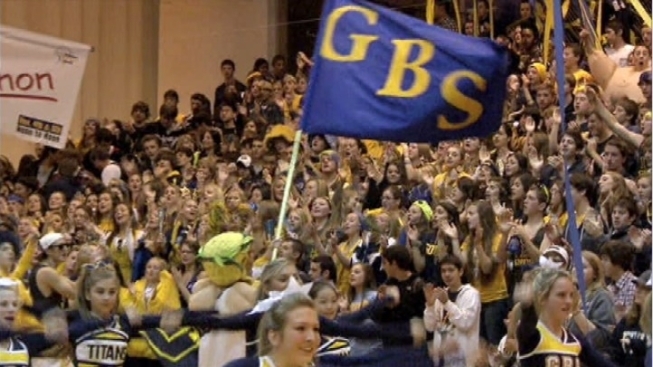 Hundreds of students participated in an early morning rally at Glenbrook South High School on Friday for Prep Destination of the week. It was a sea of navy blue and gold as the Titans took over their high school gymnasium to show off their school spirit. The New Trier High School Trevians were also present, sporting their blue and green to support their school. The Titans and the Trevians will face off Friday night at 7:00 p.m. for their playoff game. This is the first time they meet in the playoffs since 1985.